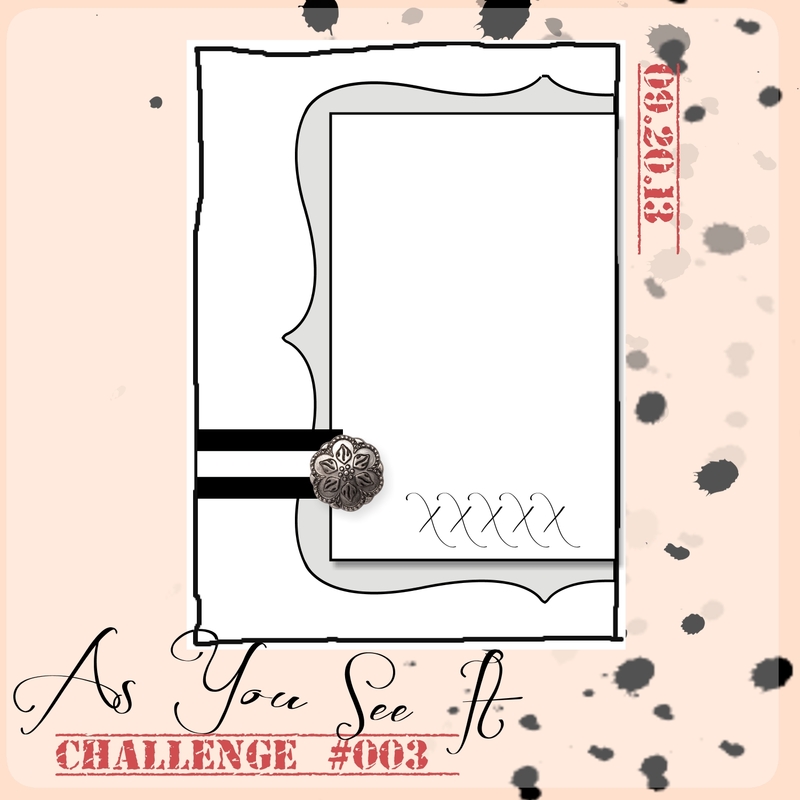 It's been almost a month already that we have been playing along with the As You See It Challenge blog! It's been TONS of fun already. It's a dandy. Don't you think? I decided to go ahead and use Crisp Cantaloupe cardstock with some matching designers series paper from the Soho Subway (my fave) pack. 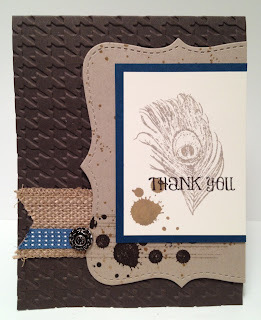 Added lots of detail with the Pamplona Potpourri stamp set, Gorgeous Grunge stamp set, and the Many Thanks stamp set. Here is a close up where you can see the butterflies that I punched out and layered onto Early Espresso cardstock. 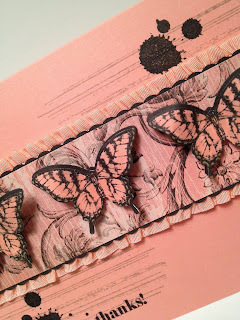 I also used the dotted ribbon scallop punch to give another layer in front of the ruffled ribbon. Hope you enjoyed the challenge this week! 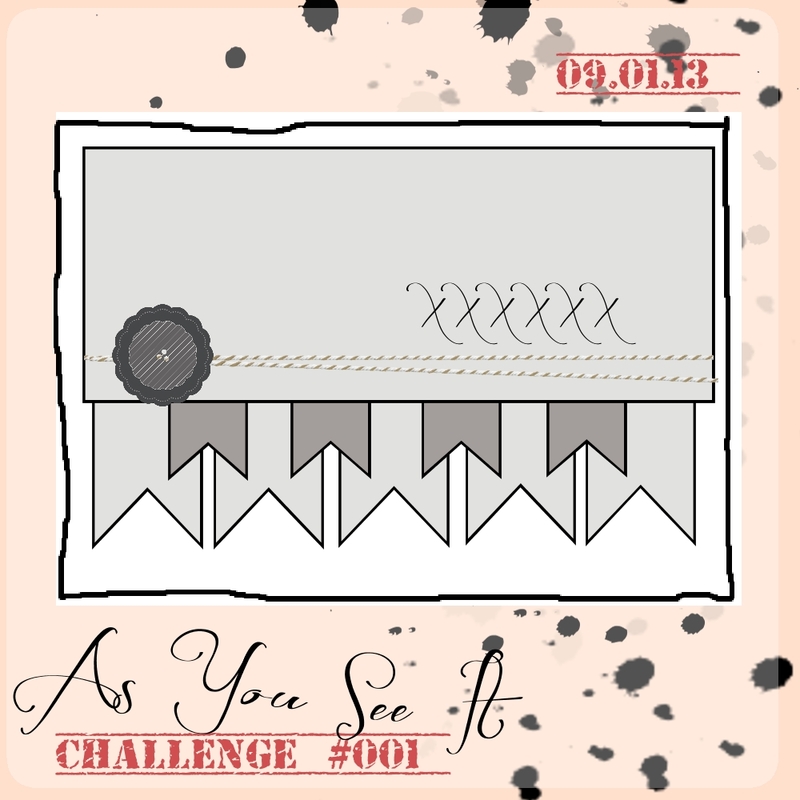 Don't forget to play along with the challenge and link up to the As You See It blog. Thanks for checking out my project this week! 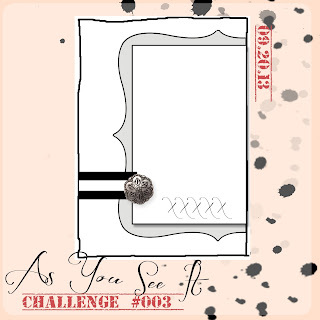 As You See It Challenge Blog! When I saw this layout I fell in love with all the layers and texture. So without further adieu here is what I came up with. 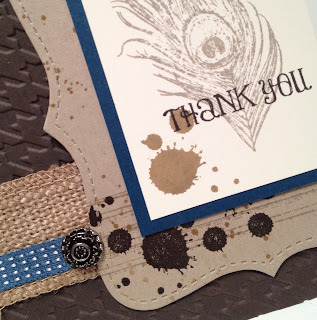 The first shot is of course a close up of all the texture that I used in my card. 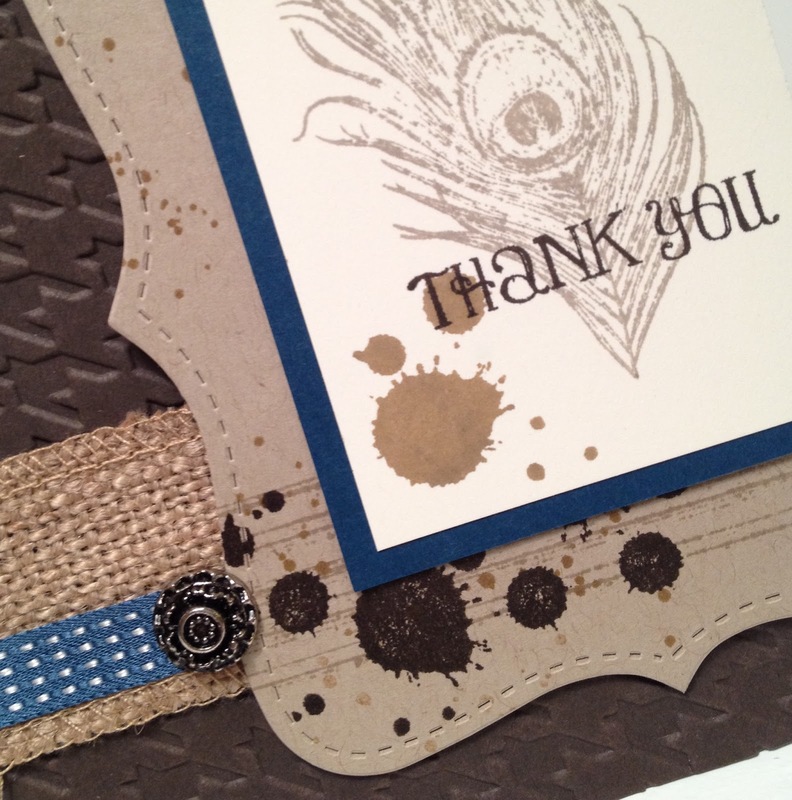 We have the houndstooth embossing folder, burlap ribbon from the Holiday Catalog, the Top Note Die for the Big Shot, then of course Gorgeous grunge & Fine Feather stamp sets. These are two of my ALL time favorite stamp sets. Here is the end result. I'm really pleased with how it turned out this week. Hope you enjoyed it too. Thanks so much for checking it out & don't forget to play along with this weeks challenge. Welcome back for the second challenge from the AYSI Challenge Blog. 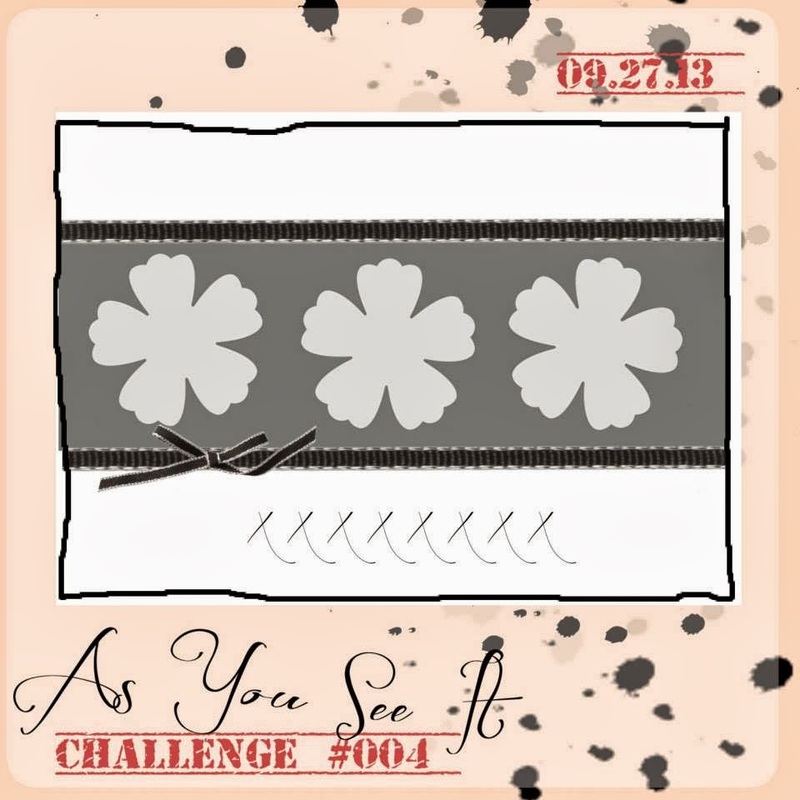 This weeks sketch is killer & don't forget to link up your projects on the AYSI blog. Without further adieu, here is this weeks sketch. I chose to use the Mixed Bunch stamp set for this great sketch. Still fresh, but with a bit of fall in there. 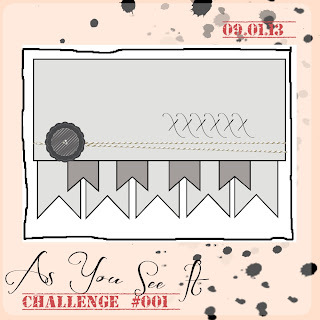 Don't forget to link up this week on the As You See It Challenge Blog! Can't wait to see what you create. 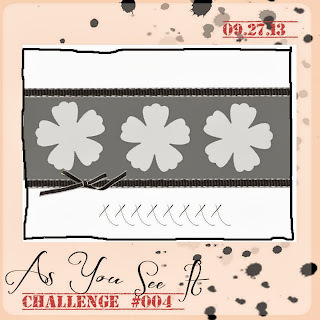 I'm so excited to be part of the Design Team for the all new As You See It Design Challenge Blog. 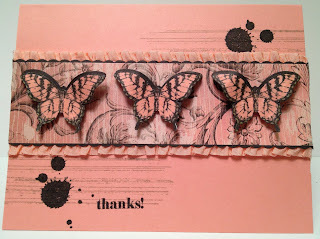 I'm designing with a bunch of great friends & Stampin' Up! Demonstrators from Canada and the U.S.
Each week there will be a new card layout design that will be highlighted on the blog & also my cards for the week will be posted here. Of course there will be a weekly card challenge on the design blog. The first layout is a great one that I'm sure you'll LOVE. Very hip and modern. I guess you could say this week I love pattern. 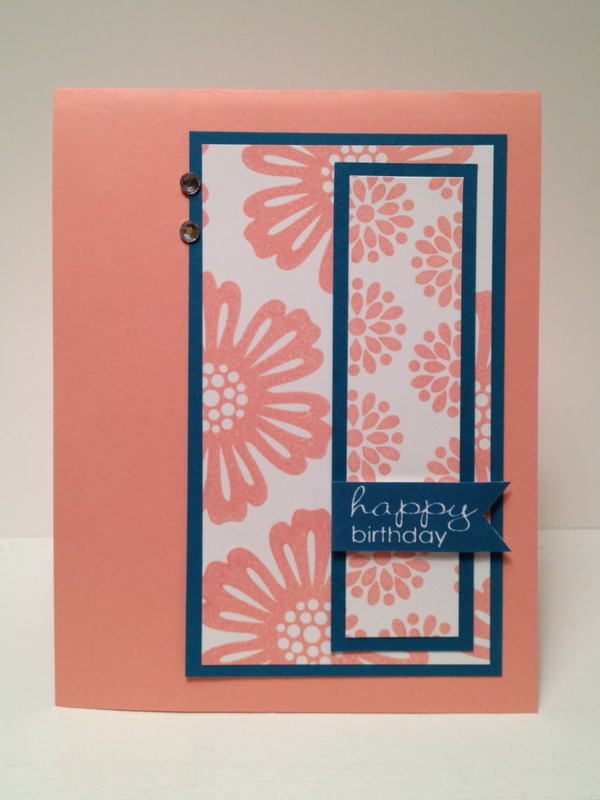 The first card is a great birthday or even a girls night out party card. I think the Happy Hour stamp set is super cute. It has some great words along with all the drink glasses. What I love most about this set is the pattern within the glasses. The colors that are used are Cherry Cobbler and Crumb Cake. Did you notice my washi tape flags? Yep, that's the new washi out of the holiday mini along with the great stripe designer series paper. I flipped the layout just a tad this week to match the great designers series paper. See those rings (almost like coffee rings) on the paper. Yep, they came that way on one of the sheets Epic Day This & That paper. On the left side I stamped with Gorgeous Grunge in Crumb Cake to give a bit more texture. 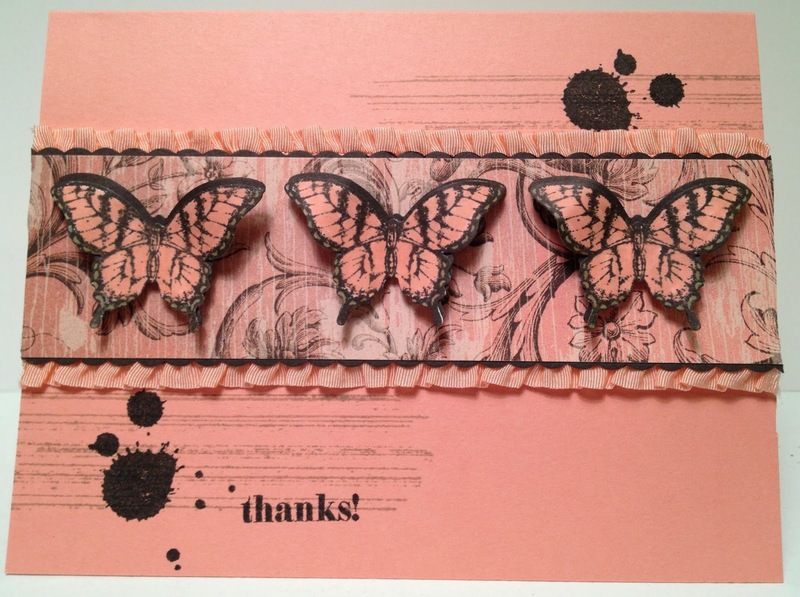 Then I stamped Oh, Hello in Espresso from the Oh, Hello stamp set. The flags are all from the Epic Day paper too. Add a little Baker's Twine and a Naturals button and you are all set to go. Hope you enjoyed this week's challenge and make sure to visit As You See It Challenge Blog for great cards from the rest of the Design Team. *Don't forget to participate in the challenge too! 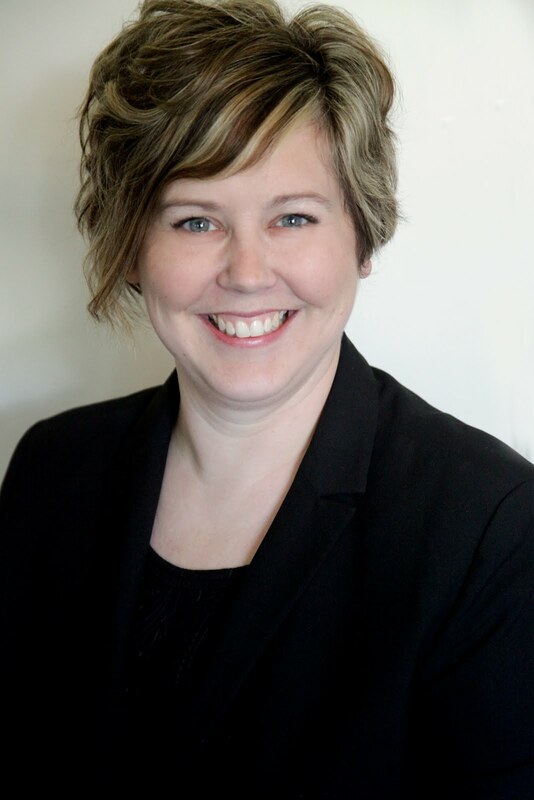 Link up your our creation on the AYSI blog.